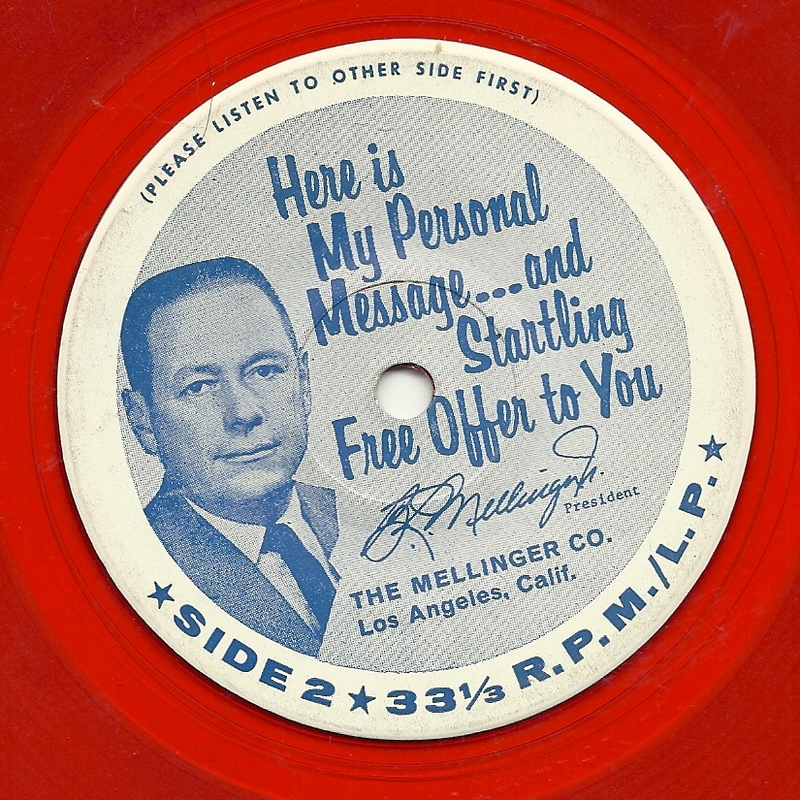 Here's a cute little red, seven inch, 33 1/3 RPM record, featuring (after a cutesy bit with a female receptionist) the voice of Mr. B. L. Mellinger, president of the Mellinger company. He's going to tell you how to become a big wheel in the import-export game. My guess is this was a pyramid scheme, but if not that, at best it sounds to me like a pretty shady deal - some sort of out and out scam. 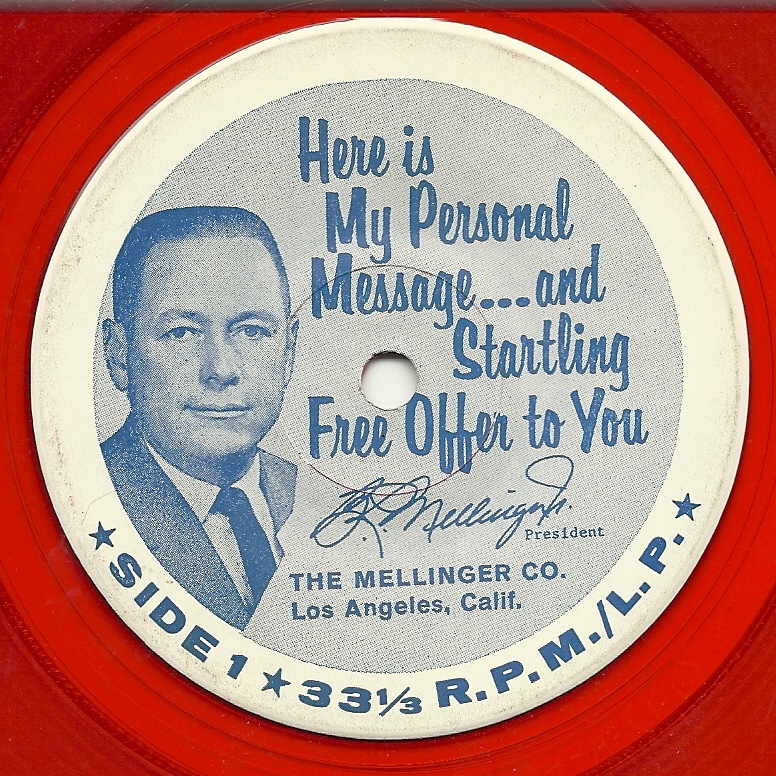 I wonder how many people took up this offer, and how "immediately" one could act, if one were responding to a record, in order to get the best Mr. Mellinger was offering.